It’s 13 degrees outside in Chicago today. The wind has the flags at my neighbor’s house fluttering madly. But that is tame fare compared to yesterday’s reported migration of sandhill cranes over the City of Chicago. 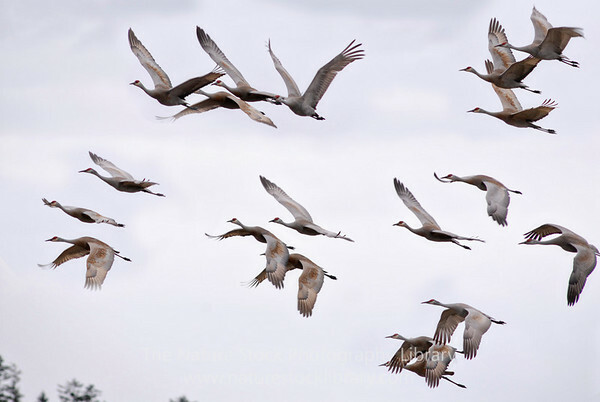 Apparently 5000 birds were tallied in just over an hour flying over the city toward the Jasper-Pulaski region where tens of thousands of wild sandhill cranes gather each year. 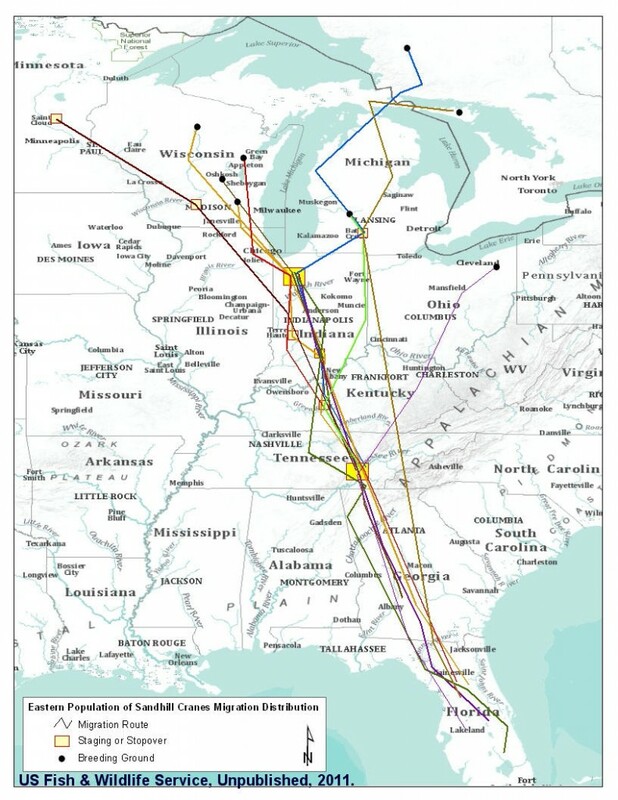 Many of the birds funnel down through the eastern United States to Florida. A great number travel from points further west to Texas and the Gulf Coast as well. The passing of sandhill cranes overhead is most definitely a mark of the pending winter season. These hardy, tall birds come back in spring before the ice goes out of area ponds. They find food in all kinds of conditions. They also know when it’s time to leave. Usually they fly over a little earlier in the season. Often their migration takes place in the first week of November when most of us are out raking the final layers of leaves from our lawns. Sometimes the cranes are so far overhead you can’t see them in the sky at first. Then a pack of swirling dots appears. With wings fully extended the birds don’t even flap in many cases. They swirl their way south and east with primaries extended like giant fingers. Such effortlessness is the envy of those of us who run and ride. There are very few times when we soar along without effort like a crane on the high winds. A couple years back a friend and I were cycling on a day when the winds reached 40 mph. It was tough going on the way out. On the way back the wind fell into line with the road we were traveling. We crested the rise on a bridge over I-88 and the downhill gave us an extra push of speed. Our cyclometers showed the quick rise in pace, all the way up to 40mph on the flat. Then the world went silent. We were traveling the exact speed of the wind. One wonders whether birds feeling these sensations or take them for granted. Cranes are smart birds but they certainly don’t sit around discussing their Strava segments. Then again, they don’t need Strava. They navigate using a combined set of anciently evolved senses that tell them when to leave and where to travel. Some speculate populations of cranes in our region actually follow the glaciated ridgeline of the former breadth of Lake Michigan. In the span of evolution that 10,000 years that just passed means nothing to the cranes. Their collective memory is much stronger than a recent change in landscape. It takes a few millennia to adjust such things. It is cold as heck here and hard to muster the will for a 4-miler. But the weather will moderate and it will be great to get out on the road again. 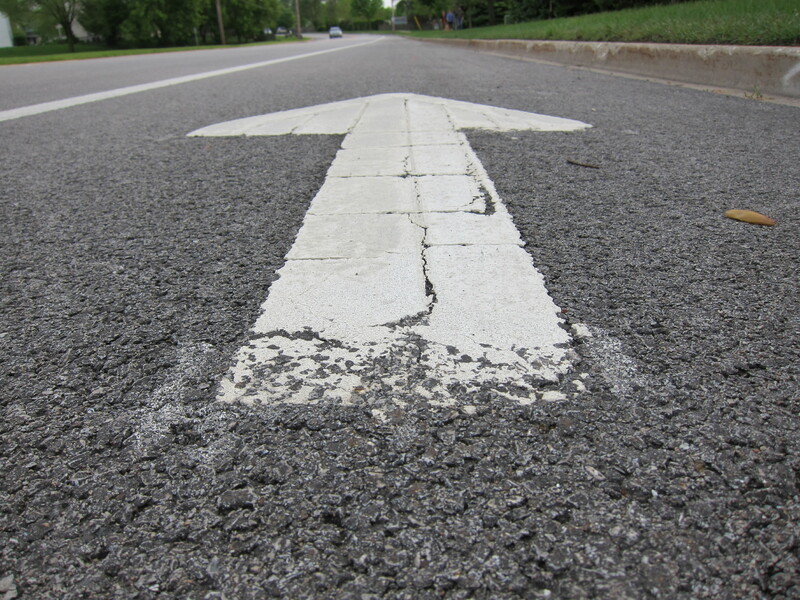 We all take cues from nature in our choice of movement. 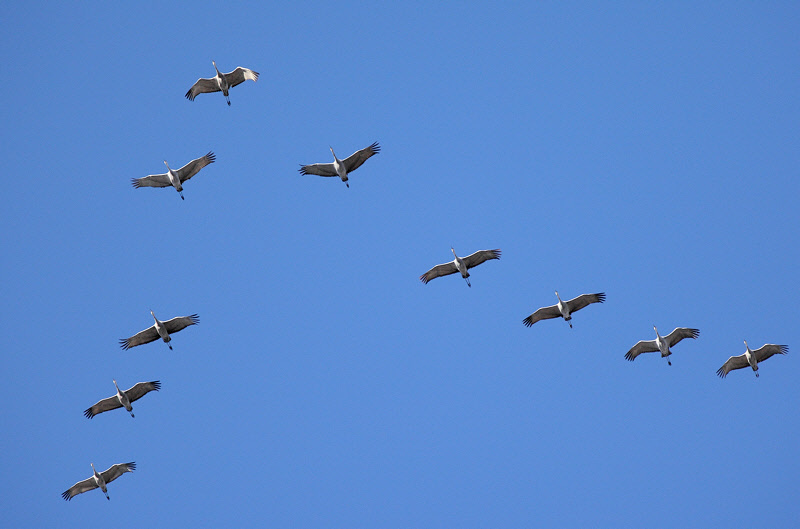 The cranes love a strong northwesterly wind because it makes their job of migration easier. As for me, I’ll take a calmer morning and wear my balaclava. The Polar Vortex is predicted to be strong again in the Midwest. It just might be enough to blow me inside to the treadmill where we’ll crane our necks looking at the rest of the folks trying to get away from winter. Want to know more about cranes? 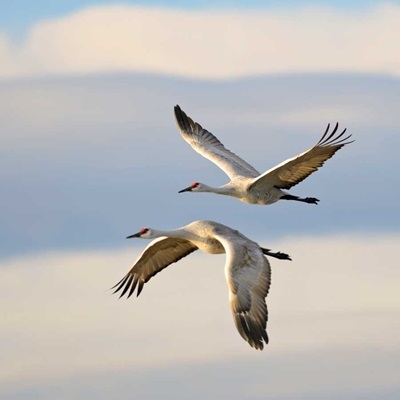 Visit the International Crane Foundation site. This entry was posted in Uncategorized and tagged crane migration, international crane foundation, jasper pulaski, sandhill cranes. Bookmark the permalink.